UK regulator Ofcom has authorised Everything Everywhere, the JV of the Orange and T-Mobile networks, to use its existing bandwidth to launch fourth-generation (4G) mobile services. Everything Everywhere will be allowed to offer 4G services from 11th September. Ofcom said the move would deliver “significant benefits” to consumers that outweigh any competition concerns. Vodafone and O2 said they were surprised and disappointmed at the decision. 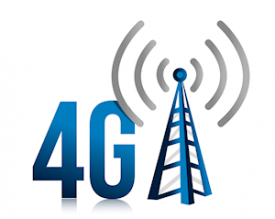 Ofcom plans to auction 4G bandwidth to other providers next year. .Ofcom said delaying the mobile operator from launching 4G would be “to the detriment of consumers”. Everything Everywhere said the regulator’s decision was “great news for the UK”. “4G will drive investment, employment and innovation and we look forward to making it available later this year, delivering superfast mobile broadband to the UK,” the company said. The firm’s two main competitors in the UK mobile market were less than pleased with the ruling. “The regulator has shown a careless disregard for the best interests of consumers, businesses and the wider economy through its refusal to properly regard the competitive distortion created by allowing one operator to run services before the ground has been laid for a fully competitive 4G market,” Vodafone said. Ofcom has issued Everything Everywhere with licenses to use what are called Long-Term Evolution (LTE) services. This is one of a number of broadband technologies that allow the transfer of high-bandwidth data such as video streaming and mapping services. The auction for other operators will offer the equivalent of three-quarters of the mobile spectrum currently in use – some 80% more than released in the 3G auction which took place in 2000. Ofcom wants to see at least four wholesalers of 4G mobile services, so that consumers will benefit from better services at lower prices. The auction will sell chunks of radio spectrum to support 4G, which will allow users to download data such as music and videos at much faster speeds. Thomas Wehmeier, Principal Analyst at Informa Telecoms & Media says the decision is important and does offer Everything Everywhere a significant advantage. “Ofcom’s decision to allow Everything Everywhere to use 4G LTE in its 1800MHz spectrum is a major milestone for the UK mobile market. The timing of today’s ruling now opens the door to the arrival of 4G in Britain from as early as September this year – a welcome leap forward given the painful delays that have beset the auction of the 4G spectrum bands at 800 and 2600. Today’s news should be seen as a strong vindication of Everything Everywhere’s bold decision to invest heavily in readying the ground for LTE without having the regulatory clarity that would have mitigated any such risks. Ever since Olaf Swantee took the helm at the UK’s largest mobile operator, the company has been focused on establishing itself as the UK’s leading high-speed mobile broadband network. This has not only seen EE spend large sums in modernising their 2G and 3G networks, but also invest quietly to fully prepare their nationwide network for the arrival of LTE. This meant swapping out old radio equipment and laying the “backhaul” infrastructure needed to carry large flows of data up and down the country. EE now has a golden opportunity to establish an early lead in the UK’s 4G market, but it will only be able to exploit this window if it is able to build a successful launch strategy. The most successful 4G operators globally, including in the world’s most advanced 4G markets of the US and Korea, have been those that came out of the traps quickly and built their LTE networks out extensively. Rumours leaked today by Sky News report that the company is planning to drop its dual-brand strategy and will phase out T-Mobile and Orange in favour of repositioning itself with 4G under the Everything Everywhere brand. Although many have questioned the brand name itself, the decision to use the launch of 4G to rebrand could prove a shrewd move. The quality of the network is a key buying criteria’s for UK smartphone users and Everything Everywhere will have strong credentials to boast about being the UK’s number one network. Another critical task that lies ahead for EE will be to convince the world’s leading device manufacturers to build smartphones for their network. You can build the network, but without the right devices the customers cannot and will not come. There are already a number of networks in commercial operation in countries such as Australia and Korea that use the same frequency as EE, but most smartphone makers have preferred to focus on building their devices for the larger networks of operators in the US, Japan and Korea that run on different frequencies. The new iPhone will almost certainly support 4G LTE when it is unveiled next month, but it is much less certain that 1800 will be amongst the frequencies supported. It is a huge “if”, but if the new iPhone were to support EE’s band it would undoubtedly be the much-needed spark to ignite Britain’s heavily-delayed 4G market. The ruling issued today applies to the full chunk of 1800MHz spectrum that Everything Everywhere owns in the UK, including the 2x15MHz that it is being forced to divest as a result of conditions imposed on the Orange-T-Mobile merger by the European Commission. The clarity on the potential use of that spectrum will provide fresh impetus to the sale negotiations with Hutchison 3G (3) the clear favourite to land the spectrum. The sale must be finalised by 30 September 2013, but news reports suggest that sales talks are at an advanced stage, meaning the UK could conceivably see two 4G networks up and running before the main auction event is finalised.